I installed my ooma hub a couple days ago. I have Hughesnet satellite internet. I have an ethernet cable from Hughesnet to the internet port in my lynksys router. Another ethernet cable from my router to the modem port in the ooma hub. 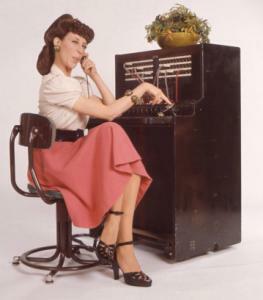 I hava a blue tab in the hub, phone line, and I can dial and hear everybody but nobody can hear me. I called ooma tech support and they asked me to connect my computer to the home port in order to go setup.ooma.com, which I tried but I am still not able to get to that page. I get a "cannot connect" message. Then we tried the ISP 172.27.35.1. I got a "server not found" message. We did the test speed and I got a 2.62 mb/s download speed, and 0.26mb/s upload speed results. So far, tech support has not been able to help me and engineering never called me. Does anybody have a suggestion? I would really appreciate it. According to what I've read ooma will not work with wireless, including Huges net. The latency of the upload connection (your voice) is not sufficient for ooma. And lets see your specs. I don't know think if this matters but I want to be able to use my phone line without having to use my computer. Therefore, I don't see what does that have to do with the wireless, but then again, I am definitely not an expert. I just want to know what changes need to be made in order to get this to work. I would appreciate any help and/or suggestion you can give. Based on your jitter and packet loss, I'm not surprised that it's not working well. With a satellite internet connection, there is a 1/2 second or more delay (latency) of when the data is sent to when it is received due to the satellite being in geosynchronous orbit, 24,000 miles above the earth. When Wayne wrote "wireless", I think he meant satellite. Since you connect to the Internet via satellite, there's a possible latency issue so Ooma may not work for you. Right, Satelite is "wireless", meaning any means other than direct wire or fiber. Neither one will work properly with ooma because of the latency issue. I guess my question is: Is there anything I can do to get ooma to work with Hughesnet, or this not an option? You're still not showing all the stats available from the test. "The ooma Hub device has been designed to work with a wired high-speed Internet connection (such as DSL, cable, or fiber-optic). While we have a number of customers who have used the ooma system with a wireless Internet connection, we cannot guarantee the performance will be quite as good. Please note that you can still use a Wi-Fi network in your home. For more home set-up information, please refer to the product documentation"